Christmas-themed promotions are a bit light on the ground this year, but BetOnline Poker is not letting the festive season pass without giving players a treat. If you have been shopping recently, opened your mail, or watched the TV anytime since early November, you will likely be aware that Christmas is just around the corner. Surprisingly, the forthcoming festive season seems to have been ignored by the majority of online poker sites – but not by BetOnline Poker, which has just started running its 25 Days of Poker promotion. 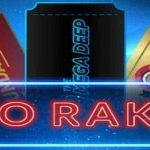 The promotion is straightforward inasmuch as you have to complete a challenge in order to win an entry into a daily freeroll. If you finish in the top twenty-five places in the daily freeroll, in addition to winning a cash prize, you will win a seat in a special Christmas Day freeroll with a $10,000 prize pool. 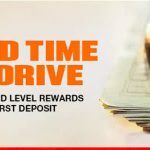 In total, BetOnline Poker is putting $25,000 into the promotion – which might not make it the most valuable promotion ever hosted by the site, but it´s better than finding a bag of ashes in your Christmas stocking. Each day between 1st and 24th December, BetOnline Poker will be setting players daily challenges. The challenges can be found be logging into the poker client and either clicking on the pop-up window, or visiting the Freeroll section of the tournament lobby and viewing the qualifying criteria for that day´s freeroll. For example, today´s challenge is to collect 200 Comp Points (i.e. pay $20 in rake). Provided you complete the challenge by 8:00pm (ET), you will receive a tournament entry ticket for that day´s freeroll tournament. The prize pool for each 25 Days of Poker freeroll tournament changes daily (today´s event has a prize pool of $600) and, if you finish in the top twenty-five positions, you also win a ticket for the Christmas Day freeroll. Please note you have to manually register for all freeroll events. Contrary to what has been published on the BetOnline website, there is no late registration available for the daily freeroll tournaments. Each one starts at 9:00pm (ET), and every player is All-In every hand, as the starting stack consists of just one chip and each freeroll starts with blinds of 100,000/200,000 (ante 20,000). Consequently, once you have registered to play in the daily freeroll event, you don´t have to be physically present to play in it as your betting decisions are out of your hands. The Christmas Day freeroll tournament gets underway at 1:00pm on 25th December and is different from the qualifying freerolls inasmuch as it has a regular tournament structure consisting of 1,500 starting chips and blinds starting at 15/30 (ante 4), which then increase every six minutes. Consequently this is a must play event (if you want to win a share of the $10,000 prize pool) and therefore it might mean delaying your Christmas dinner until after the freeroll final has finished. The realistic chances of winning a prize in this promotion are not that great. The daily All-In every hand freeroll tournaments are played on Full Ring tables, so your hand has to be better than eight other players before you qualify for a cash prize, and you probably have to win a second hand before you win a ticket to the Christmas Day freeroll. 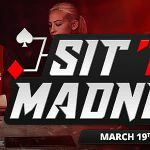 Nonetheless, the 25 Days of Poker is worth taking part in if you already play at BetOnline because it´s free to enter and it´s fairly simple to meet the qualifying criteria. Furthermore, at least BetOnline Poker is putting on a Christmas-themed promotion. 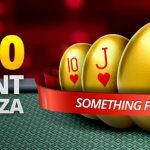 Few of the major online poker sites are offering anything in the way of player bonuses during the festive season, or are restricting the prizes to play-through bonuses or sports/casino bets with limits on how much can be won. With BetOnline Poker´s 25 Days of Poker promotion, you win cash, and you get to keep what you win with no strings attached. That´s got to be a promotion worth taking part in.